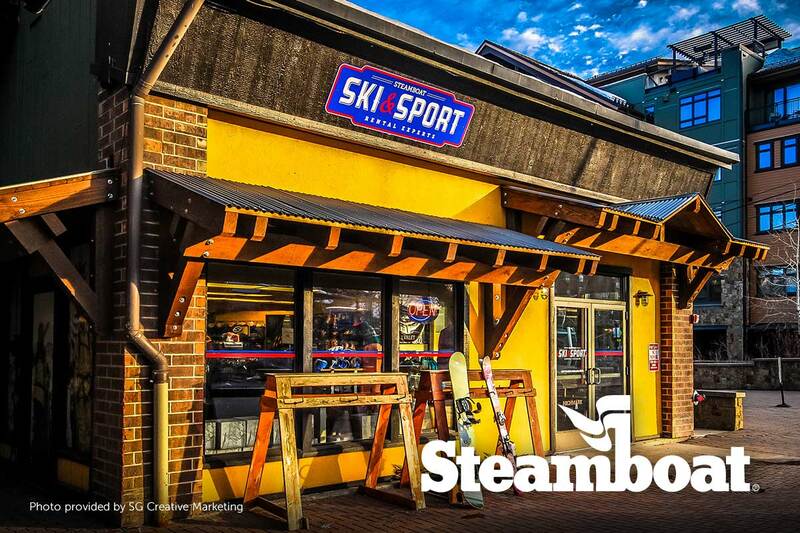 Pioneer Ridge has teamed up with Steamboat Ski and Sport to provide discounted equipment rentals to our guests. With seven convenient locations we've got you covered wherever you are staying. Visit us at the Sheraton Ski & Sport, Gondola Square Ski & Sport, Ski Time Square Ski & Sport, Grand Ski & Sport, Ski & Sport Transit Center, Ski & Sport @ 9080' and Ski & Sport Delivery. Check out the different locations here. Book your lodging with Pioneer Ridge and receive 15% off your equipment rentals with Steamboat Ski & Sport! You must book your rentals at least 14 days before arrival to receive this discount. Click here to reserve your equipment rentals online now. Available with all adult 5 day rental packages, one child 12 and under free with each paid parent rental. One child per parent. Beginner to intermediate skiers will favor the Sport Progression rental package. The ski features auto-turn technology and a lightweight core to enhance and simplify the learning experience. The Sport Progression rental package is available at all Steamboat Ski & Sport locations with the exception of the Transit Center. *Packages include skis or snowboard, boots, and poles (for ski package). These are 16/17 season prices. Prices subject to change without notice. **1 and 2 day rentals are consecutive days, 3 and 4 day rentals allow 1 grace day, and 5 or more day rentals allow 2 grace days. For advanced to intermediate skiers who are looking to take the next step with their skiing. The All-Mountain Package offers the best options with a variety of mid fat all-mountain skis for intermediates and lower level experts, male or female. Good for everything from carving the groomers, skiing the trees and bumps, or floating on powder. The All-Mountain rental package is available at all Steamboat Ski & Sport locations with the exception of Transit Center. * These are 2018/19 season prices. Prices subject to change without notice. The best of the best. Our selection of demo skis offers the most versatility of all our rental packages. Our demo skis can also be swapped out throughout the day in order to equip you with the best skiing option for the conditions, whether it be powder, groomers, moguls, or trees! We cannot guarantee specific models. Demo rentals are available at the Steamboat Ski & Sport Transit Center and the Steamboat Ski & Sport at the Sheraton. Beginner to intermediate snowboarders will favor the Sport Progression rental package. The snowboard features auto-turn technology and a lightweight core to enhance and simplify the learning experience. The Sport Progression rental package is available at all Steamboat Ski & Sport locations with the exception of the Transit Center. For advanced to intermediate snowboarders who are looking to take the next step with their snowboarding. The All-Mountain Package offers the best options with a variety of all-mountain snowboards for intermediates and lower level experts, male or female. Good for everything from carving the groomers, snowboarding the trees, or floating on powder. The All-Mountain rental package is available at all Steamboat Ski & Sport locations with the exception of Transit Center. The best of the best. Our selection of demo snowboards offers the most versatility of all our rental packages. Our demo snowboards can also be swapped out throughout the day in order to equip you with the best snowboarding option for the conditions, whether it be powder, groomers, or trees! Demo rentals are available at the Steamboat Ski & Sport Transit Center. More Information: For more information on equipment rentals from Steamboat Ski & Sport please call our reservation staff at 888-672-6938.